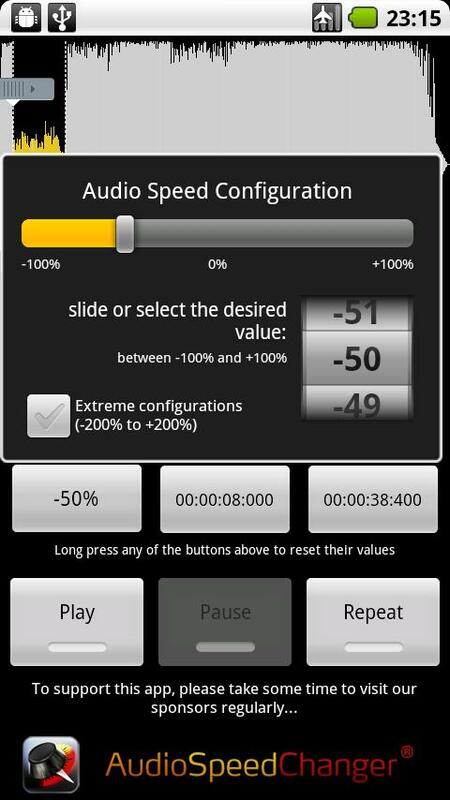 With Audio Speed Changer you can change the playback speed of your audio files while they are playing, without changing their audible characteristics. You can use it to help transcribing audio by slowing it down for difficult parts, save time listening to audiobooks and podcasts by speeding it up (the pitch doesn't change so you don't get the 'chipmunk' effect), and even for practicing your dance steps by slowing it down. Start and End markers: limit the timeframe you want to listen to by drag&drop or precise setting. Fixed auto-save songs parameters and last position. Now it remembers where you stopped last time!